Lanterra Developments was responsible for 15% of Toronto's total condo unit sales in 2014. 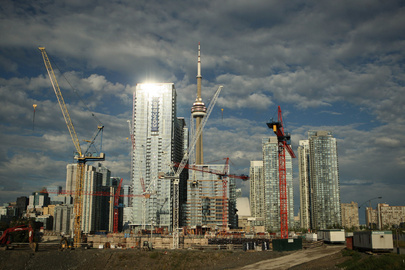 "More than 21,000 condo units were sold in 2014, one of the GTA’s best years on record. Lanterra Developments, which launched two of 2014’s most successful projects—Teahouse at 501 Yonge St. and Wellesley on the Park at 11 Wellesley Ave.—was responsible for a substantial number of those transactions. Combined with ongoing sales at The Britt, Lanterra’s redevelopment of the Sutton Place Hotel, and Treviso, a multi-phase condo project at Dufferin St. and Lawrence Ave., the builder sold more than 2,000 units in 2014. And things show no signs of slowing down in 2015. Lanterra is gearing up to launch the second phase of Teahouse, which will include about 400 units. A mixed-use complex with two towers (52 and 23 storeys), Teahouse will have a total of 776 suites and 20,000 square feet of retail space at its base (restaurants, shops and services, plus an actual teahouse), helping rejuvenate a somewhat seedy stretch of Yonge."